Danshui Blue Riverside Hotel (B.R. 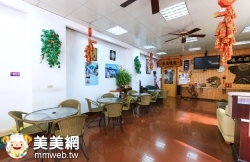 Hotel) has a delightful location in the beautiful Danshui District of New Taipei City, Taiwan. Danshui, located about 40 minutes away from downtown Taipei City via Taipei MRT Danshui Red Line, is a mesmerizing district favored by both local and international travelers. Danshui is enriched by natural, cultural and historical assets, as well as wide varieties of local flavors that attract large numbers of visitors each day. With just about one kilometer away from MRT Danshui Station, this Taiwan hotel is within short distance to major Danshui attractions include Danshui Fisherman’s Wharf 3.4km/10mins drive, Fort San Domingo about 600m/8mins walk away, Little White House Danshui 350m/5mins walk away, Red Castle Danshui 290m/4mins walk away, and Danshui Old Street at your fingertips for wide arrays of local favorites and old-time flavors that will make your Taiwan travel a memorable one. Danshui Blue River Hotel (B.R. Hotel) features modern accommodations for your Danshui travel. The hotel rooms are designed with large window and comfortably appointed with friendly amenities such as bottled water, LCD TV with cable TV programs, DVD player, hairdryer, toiletries, as well as internet access to keep you connected. The large window in room creates a relaxing ambience which also allows guests to enjoy views of Mt. Guanyin and the famous Danshui sunset sceneries. Rooms are also fitted with classically designed wood bed, wardrobe and furniture that ensure a welcoming space for your stay. 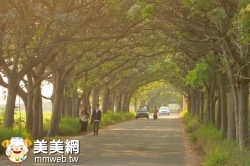 In addition, the hotel is recommended by Taiwan’s popular TV show “Super Taste” for its homy and pleasant accommodations. Wonderfully set in Danshui, New Taipei City, Danshui Blue River Hotel (B.R. Hotel) has contemporary rooms for you to enjoy a holiday retreat in Danshui. Not only you may relax and unwind at the hotel, but also enjoy a colorful Danshui travel by discovering places of interest include Danshui Old Street for Taiwan snacks, Fort San Domingo for the important historical site first built by Spanish in 1628, Little White House Danshui for the former residence of Danshui Tax Division Customs which is also a popular wedding photography stop, and Danshui Fisherman’s Wharf for one of the most popular attractions favored by all ages. 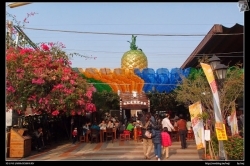 Also, with MRT Danshui Station only about one kilometer away, guests may simply visit Beitou Hot Spring area for Beitou Geothermal Valley, Beitou Hot Spring Museum and Beitou Library, as well as the world famous Shilin Night Market in short MRT rides.